Microdermabrasion works to resurface the skin to diminish the appearance of certain cosmetic blemishes or flaws such as sun spots, wrinkles, fine lines and even acne scarring. 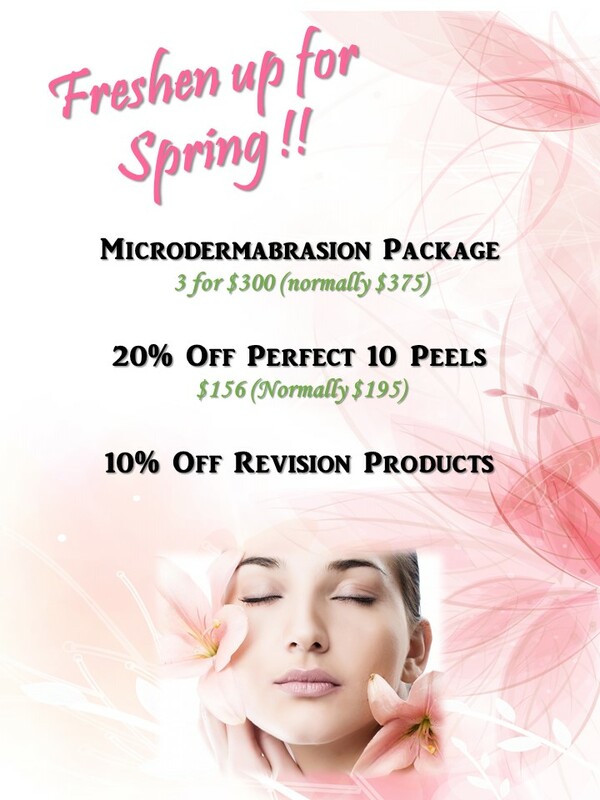 Microdermabrasion can be used alone or in conjunction with our Perfect 10 Peel for maximum benefit and results. Perfect 10 Peel - ONE SESSION IS ALL YOU NEED! The Perfect 10 peel contains a synergistic blend of ingredients that visibly reduce the signs of aging with a SINGLE PEEL SESSION! Each component of the system is formulated with soothing and calming antioxidants. The treatment results in a smoother, softer, more even-toned skin. By eliminating the buildup of dead skin cells that accentuate lines and furrows instant improvement is noted after just one session. Can be used in combination with our Microdermabrasion for continued benefit.